I get a lot of thank you emails re the jus4keepers goalkeeper gloves and what myself and J4K is trying to do to set the trend of offering high quality gloves at fair prices, I had to put this testimony in. 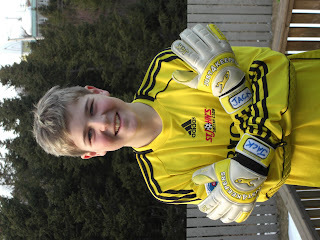 My son received his second pair of your J4K gloves the other week, along with his "sponsor me" free pair. He loves them. 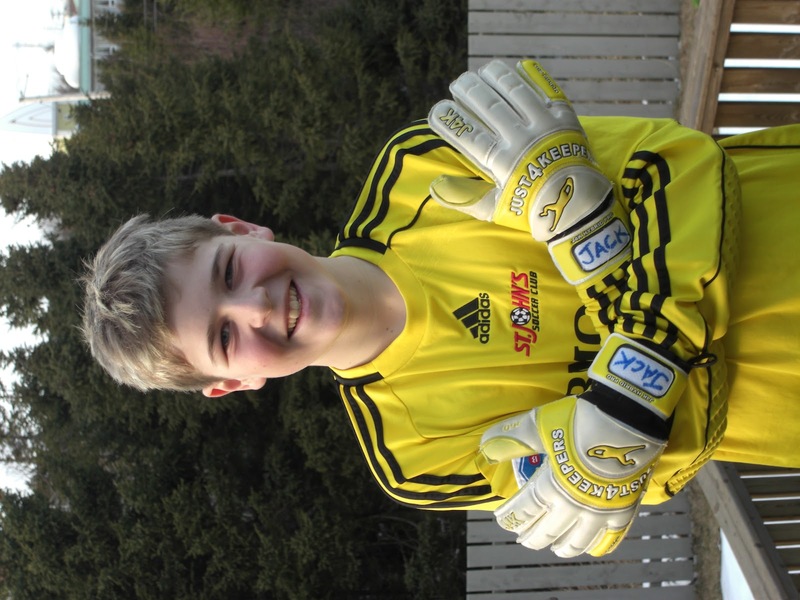 Jack plays for the St. John's 14a team here in Newfoundland, Canada, and your gloves are used almost every day. Thanks for making top quality gloves at an affordable price for these kids - it allows them to love the position and have confidence that the equipment they wear will back them up every time. Enclosed is Jack's photo as per your deal.